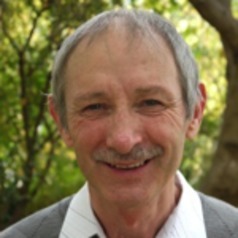 Allan is currently an Adjunct Professor of the University of Canberra Research Institute for Sport and Exercise (UC-RISE). He has a long history of involvement in the sports industry, having worked for 27 years at the Australian Institute of Sport (AIS), where he held a series of positions including Head of Physiology, inaugural Head of Performance Research and, eventually, AIS Chief Scientist. Since leaving the AIS toward the end of 2011, he has taken up part-time roles not only with UC-RISE but also with several other organisations. He is the Interim Leader of the Queensland Academy of Sport Centre of Excellence for Applied Sport Science Research. He is also an Adjunct Professor of the Griffith University School of Engineering and the Victoria University College of Engineering and Science, and and an Emeritus Professor at the AIS. Allan has 95 publications in peer-reviewed scientific journals and a further 30 in the applied sports science and coaching literature. He has also authored or co-authored 12 book chapters. Over the years, Allan's contribution to sport and sports science has been recognised through a number of awards, including an Australian Sports Medal and an Order of Australia Medal from the Australian Government. In 2003 he was listed by The Bulletin magazine as the inaugural winner of a national prize for innovation and creativity in the sport domain. In 2006, he was appointed as an Honorary Research Fellow of the Queensland Academy of Sport and in 2013 he was awarded a Doctorate of Applied Science Honoris Causa by RMIT University to complement his original PhD from the University of Western Australia.